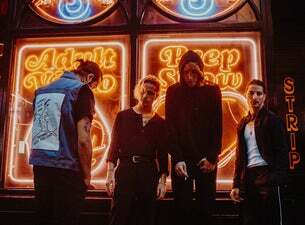 Since bursting out on the music scene in October 2015 with their debut single Bonfire/She’s Casual, The Hunna’s rise to stardom has been phenomenal. Thanks to their collection of guitar-driven anthems, the Watford four-piece have quickly made a name for themselves, boasting sold-out shows and a recent tour around the world. The Hunna released their debut album, 100, in August 2016, storming the UK official charts and landing at No.13. Their second studio album, Dare, came out in July 2018.